Each bedroom features carefully restored vintage furniture, locally designed contemporary metal wardrobes, and queen sized beds dressed in organic cotton bedlinen. 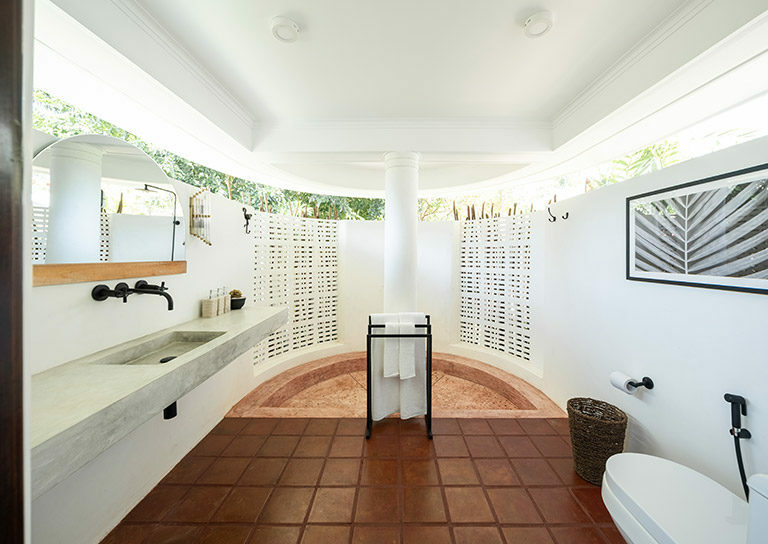 Ensuite bathrooms feature indoor/outdoor rain showers and local artisan toiletries. Including all the luxuries of a Deluxe Room, this room also features a chic lounging area, offering more space to relax in complete privacy. The room is flooded with natural light and has a pretty view of the garden.